“His soul swooned slowly as he heard the snow falling faintly through the universe.” – The Dead, Dubliners, James Joyce. 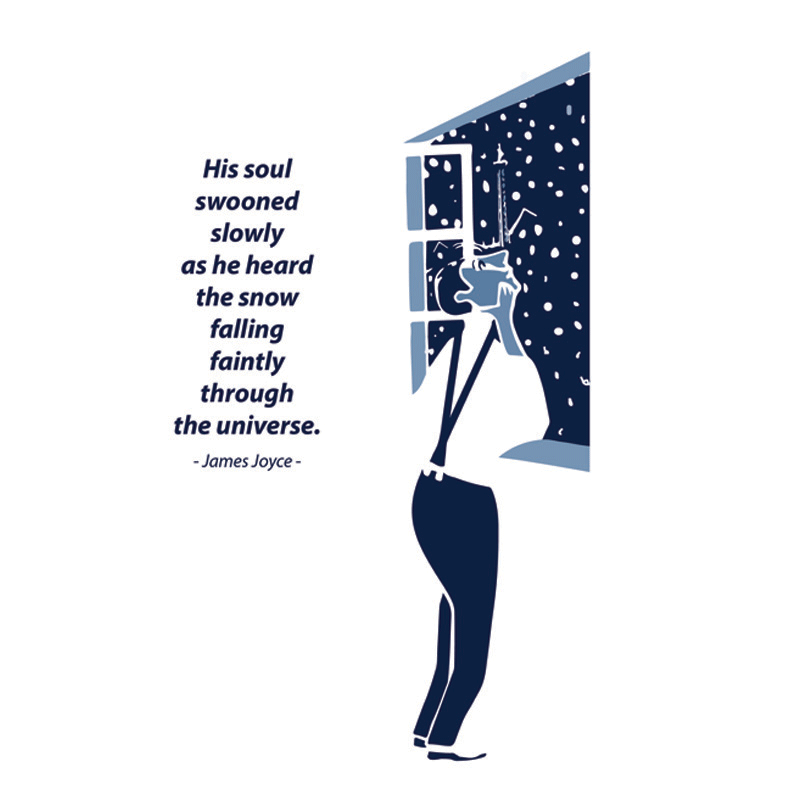 We swooned ourselves when we made it onto the Daily Edge with our new Christmas Card based on James Joyce’s short story The Dead from Dubliners. 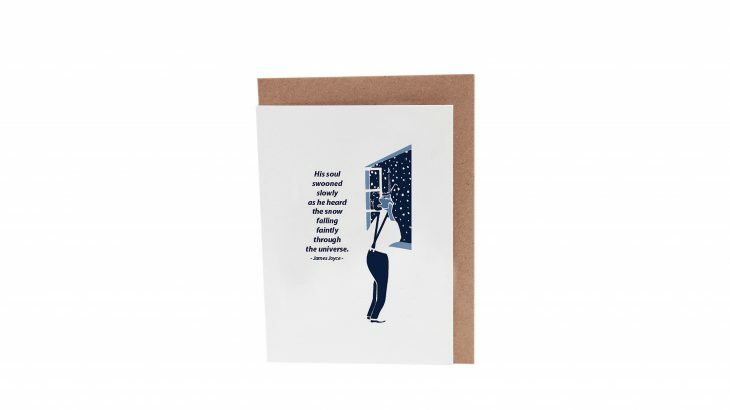 They have selected it as one of their wonderfully Irish alternative Christmas cards. Our The one in the Snow print featuring the same image as the card is also available at the above stockists and markets. Christmas, Dubliners, Irish Writers, James Joyce Christmas, Christmas card, Dublin, Dubliners, Dubliners card, Dubliners quote, Famous Irish Writers, Gabriel Conroy, gifts for booklovers, gifts for readers, Irish Classics, Irish Design, irish gifts, Irish Literature, Irish Writers, James Joyce, Joyce card, Joyce quote, literary gifts, Press, Snow, Stockists, The Dead, unusual gifts. permalink.